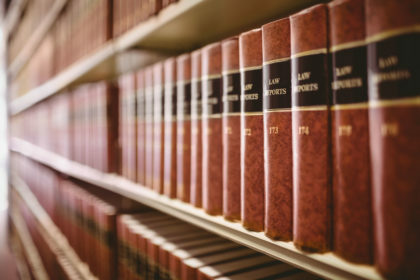 Following is the seventh in a series of posts from Parker Law Group reflecting recent changes to the California Bar Association’s Rules of Professional Conduct (RPC). As with our earlier posts, this one comes under the category of “Lawyer-Client Relationship,” but was formerly under “Financial Relationship with Clients” – related to a client’s funds and property. (a) All funds received or held by a lawyer or law firm for the benefit of a client, or other person to whom the lawyer owes a contractual, statutory, or other legal duty, including advances for fees, costs and expenses, shall be deposited in one or more identifiable bank accounts labeled “Trust Account” or words of similar import, maintained in the State of California, or, with written consent of the client, in any other jurisdiction where there is a substantial relationship between the client or the client’s business and the other jurisdiction. (2) if the flat fee exceeds $1,000.00, the client’s agreement to deposit the flat fee in the lawyer’s operating account and the disclosures required by paragraph (b)(1) are set forth in a writing signed by the client. (2) funds belonging in part to a client or other person and in part presently or potentially to the lawyer or the law firm, in which case the portion belonging to the lawyer or law firm must be withdrawn at the earliest reasonable time after the lawyer or law firm’s interest in that portion becomes fixed. However, if a client or other person disputes the lawyer or law firm’s right to receive a portion of trust funds, the disputed portion shall not be withdrawn until the dispute is finally resolved. (7) promptly distribute, as requested by the client or other person, any undisputed funds or property in the possession of the lawyer or law firm that the client or other person is entitled to receive. (e) The Board of Trustees of the State Bar shall have the authority to formulate and adopt standards as to what “records” shall be maintained by lawyers and law firms in accordance with paragraph (d)(3). The standards formulated and adopted by the Board, as from time to time amended, shall be effective and binding on all lawyers. Pursuant to this rule, the Board of Trustees of the State Bar adopted the following standards, effective November 1, 2018, as to what “records” shall be maintained by lawyers and law firms in accordance with paragraph (d)(3). The CBA’s new RPC, which took effect November 1, 2018, changed Rule 4-100 (“Preserving the Identify of Funds and Property of a Client”) to Rule 1.15 (“Safekeeping Funds and Property of Clients and Other Persons”). The first paragraph in the new rule, as set forth above, simplifies the previous rule, including providing one sample label for a client’s trust account. But, subdivisions (b) and (c) are generally new. (1) A lawyer or firm must disclose to a client in writing that the client can require the flat fee be deposited in an identified trust account until the fee is earned, and that the client is entitled to a refund of any part of the fee not yet earned. (2) If the flat fee exceeds $1,000, the client’s agreement to deposit the flat in the attorney’s operating account must be in writing and signed. Subd. (c) says funds belonging to an attorney or firm shall not be distributed or commingled with funds held in a trust account except for funds used to pay bank charges or belonging in part to the firm. If a client disputes the firm’s right to funds, that portion should not be withdrawn until the dispute is resolved. Subd. (C) of the old rule is almost identical to subd. (e) of the new rule, except now the rule provides it is the State Bar’s Board of “Trustees” (instead of “Governors”) who set the standards. The remaining standards are the same. The American Bar Association (ABA)’s Rule 1.15(b) and (c) say basically the same thing the CBA’s new RPC says in subdivisions (b) and (c), but more succinctly (one paragraph instead of three paragraphs). The last part of CBA’s 1.15(c)(2), relating to disputed funds, is addressed in ABA’s 1.15(e). Potential Benefit: Generally speaking, the changes provide further clarification of duties owed with respect to flat fee engagements, the commingling of client funds and preserving funds in the event of a dispute.